When you step out of the frantic activity of everyday life and into the calm, welcoming office of Dr. Michael C. Peer, you will instantly feel a sense of renewal. Offering you the latest in dental technology and technique, our team is dedicated to providing you with a dental experience that is both efficient and comfortable. We know your time is valuable, so we will always treat it with respect. You deserve the best dental care available, so rely on our team to focus on your immediate needs and long-term goals. You can have the brilliant, beautiful smile you've always wanted! Our professional and friendly dental team ensures you are taken care of using the best in comprehensive dentistry. Make your appointment today and discover what it's like to enjoy your trip to the dentist! 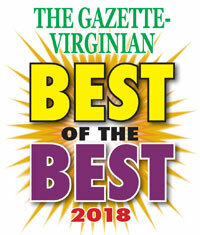 Dr. Michael C. Peer and his team are honored to be named Readers' Choice Best of the Best by the Gazette-Virginian for the 5th consecutive year!